Will 2014 be another award winning year for Scottish Film? The production team for UNDER THE SKIN (2013) [Director: Jonathan Glazer] made their home at Film City Glasgow, occupying one of our larger production offices as well as some additional smaller multi-purpose spaces. The majority of the special casting process (undertaken by Kahleen Crawford Casting) took place at Film City Glasgow; Glazer chooses to work with real life characters so this process was more extensive than most. As so often happens at Film City Glasgow, the director included shots of the building and the surrounding streets in the film. Since ‘Under The Skin’ involved the unique process of filming real-life, actress Scarlett Johansson is seen driving around the streets surrounding Film City Glasgow, speaking to unknowing locals. ‘Under The Skin’ was produced by Seventh Kingdom Productions. 'Under the Skin' received nominations for Best Director (Jonathan Glazer), Best Actress (Scarlett Johansson) and Best Technical Achievement; for both sound design (Jonnie Burn), and music (Mica Levi), at the 2013 British Independent Film Awards. The film was also nominated for the Golden Lion Award at the 2013 Venice Film Festival and Best Film at the London Film Festival. FILTH (2013) [Director: Jon S Baird] is another example of Film City Glasgow inspiring a director and working its way on to the screen, on this occasion, as part of the production hire, the director was using our Chamber Room for a rehearsal period with main cast members; Imogen Poots, James McAvoy and Jamie Bell. Thereafter, Jon Baird decided the Chamber Room would be the perfect location for the film's burlesque club scene. ‘Filth’ also used our largest production office and a range of multi-purpose spaces for accounts, locations, voice coaching and wardrobe. ‘Filth’ was produced by Steel Mill Pictures. For his role in 'Filth', James McAvoy won Best Actor at the British Independent Film Awards 2013. The film also received nominations in several categories, including Best Director (Jon S. Baird), Best Supporting Actress (Shirley Henderson), Best Supporting Actor (Eddie Marsan) and Best Achievement in Production. 'Filth' has also received nominations for Best British Film of the Year, Breakthrough British Filmmaker (Jon S. Baird) and Technical Achievement of the year (Mark Eckersley) at 2014's London Critics' Circle Film Awards. FOR THOSE IN PERIL (2013) [Director: Paul Wright], starring George Mackay, Kate Dickie and Michael Smiley, was cast by Kahleen Crawford Casting, who are based here at Film City Glasgow. The Scottish crew members were also interviewed at Film City Glasgow by Warp X Films, before filming on the East Coast of Scotland. ‘For Those In Peril’ was produced by Warp X Films. 'For Those in Peril' won Best Feature Film at 2013's BAFTA Awards Scotland, with George MacKay receiving the Best Actor award for his role in the film. MacKay's performance was also recognised at the 2013 Stockholm Film Festival where he collected the Best Actor award. In addition to this, the film’s director; Paul Wright won the Douglas Hickox Award (Directorial Debut) at the British Independent Film Awards 2013. As well as winning four awards in 2013, 'For Those in Peril' also received nominations for awards at the Cannes Film Festival, the Sydney Film Festival and Edinburgh International Film Festival, among others. The film has been nominated for Outstanding Debut by a British Writer, Director or Producer (Paul Wright/ Polly Stokes) at this year’s BAFTAs. It has also received nominations for Breakthrough British Filmmaker (Paul Wright) and Young British Performer of the Year (George Mackay) at the upcoming London Critics’ Circle Film Awards 2014. A set build and shoot for SUNSHINE ON LEITH (2013) [Director: Dexter Fletcher], starring George MacKay, Jason Flemyng, Peter Mullan and Jane Horrocks, took place in Film City Glasgow Main Hall. Two small scenes including a camper van set were shot onsite, as well as a full cast musical number in the Main Hall. The production company also used Film City Glasgow as a unit base whilst shooting the full cast number. Sunshine On Leith was produced by Black Camel Pictures. ‘Sunshine On Leith’ received nominations for Empire Awards; Best Male Newcomer (George MacKay), Best Female Newcomer (Antonia Thomas & Freya Mavor) and Best British Film. The film was also nominated for London Critics’ Circle Film Awards 2014. STARRED UP (2014) [Directed by David MacKenzie] starring Jack O’Connell, Ben Mendlesohn and Rupert Friend, was produced by Sigma Films who are based here at Film City Glasgow. 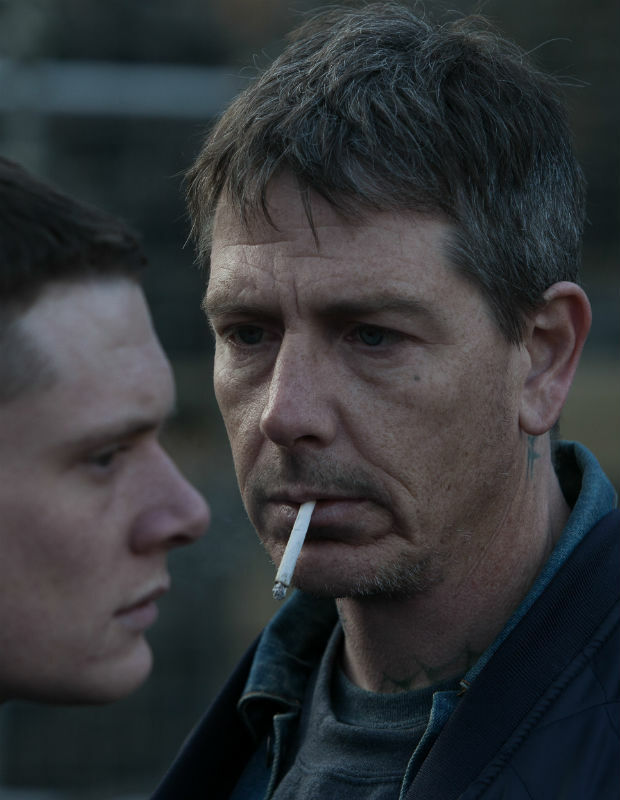 For his role in ‘Starred Up’, Ben Mendelsohn won the award for Best Supporting Actor at 2013's British Independent Film Awards. The film was also nominated for Best Independent British Film, Best Director (David Mackenzie), Best Screenplay (Jonathan Asser), Best Actor (Jack O'Connell), Best Supporting Actor (Rupert Friend), Best Achievement in Production and Best Technical Achievement (Shaheen Baig). Screenwriter Jonathan Asser won the award for Best British Newcomer and the film also received a nomination for Best Film at 2013's London Film Festival. Jack O'Connell also won the Dublin Film Critics Award for Best Actor.